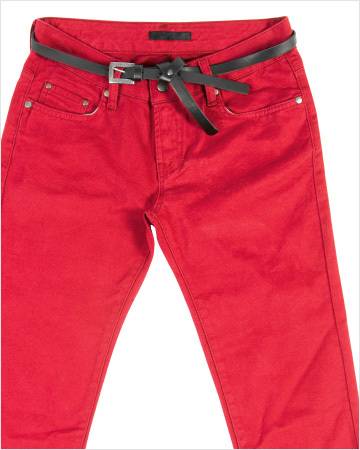 Red jeans have remained one of the hottest trends for women this season. The question for many moms becomes, “Can a mom pull them off?” Yes, you can and here’s how! Red jeans for women are one of the hottest trends of the season. They’re everywhere! I have to be honest with you. When I first saw them emerge this past August, I wasn’t a fan. I wasn’t a fan at all. It just seemed like a whole-lotta-red! I actually thought they’d only be hot for a split second and then fade away, but I was wrong. Shockingly they’ve stuck around, and you know what, they’ve grown on me. Well… (I can’t believe I’m admitting this) yes, I actually think moms can wear red jeans and rock (I mean, wear) them appropriately. Not to mention, why should the teens have all the fashion trend fun? Red is traditionally known as a powerful color, so there’s one thing to keep in mind whenever you wear red jeans — they’ll attract attention. Oh, yes — just watch out! That being said, there are ways to wear red jeans as a mom so you look oh-so-chic and fabulous, but also without going overboard and trying to look too young. You just need to make sure you’re pairing them with items that are more subdued and can play a “secondary role” to your jeans. Your red jeans will always be the statement piece. I paired my red jeans with a gorgeous poet silk blouse, black pumps and black chunky jewelry. I wanted to find a neutral-colored blouse and add some dazzle with some accessories! Go totally casual with a gray hoodie, white tee and sneakers. I even added a scarf for some additional accessory fun! I love that red jeans can also be worn relaxed and laid-back. Monochromatic with the red! 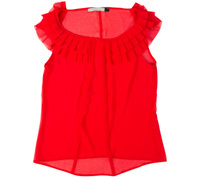 Find a red blouse that matches your jeans as closely as possible and pair them together. It’s an elegant and very classic look. I love pairing red jeans with a color that is unexpected, like this tan. 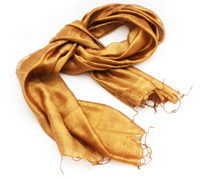 Pair with high brown boots and a brown silk tunic. You’ll get a trendy and chic look for a night out! I’m all about the scarves, so I love finding gorgeous scarves with some red hues to wear with them. 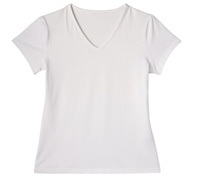 Don’t worry about going overboard — I suggest pairing with a basic white tank and black flats. 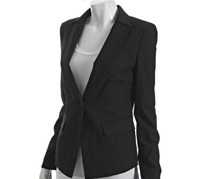 And for work, all you need to do is pair with a classic black blazer. I love the look of red jeans with very sophisticated pieces. It’s a casually cool way to pull an outfit together.